The P16 is Behringer’s personal in-ear monitoring system. The features and performance of this system rival that of competing systems (e.g. Aviom, Allen & Heath) that cost 4 or 5 times as much as the Behringer. After using the P16 at church twice a week for over a year now, I thought it was time for a comprehensive review of this system for others who may be interested, but may be unsure of exactly what components they need to integrate it into their own existing sound system. Do you even need a P16 system? Before we begin, I should mention this: if you already own a Behringer digital mixer and your performers don’t mind to use a tablet or smart phone for controlling their mix, you may not need the P16 system at all. You can simply connect the aux/bus outputs of your mixer (X32, XR18, etc.) or digital snake (S16) to the individual inputs of a multi-channel headphone amp, wireless IEM system, or personal monitor mixer. Each performer can then control their own mix using the software mixer of their choosing (Mixing Station, X-Air Edit, X32 Q, X-Air Q, etc.). However, if your performers prefer to use tactile controls (buttons and knobs they can actually place their grubby little fingers on), then keep reading. The P16 includes several modular components, so I’ll begin by describing each of them. The P16-I is a 1U rack-mounted device that includes 16 analog line and 2 ADAT inputs. This piece converts analog or digital signals to Behringer’s proprietary “Ultranet” protocol, and is needed if you plan to integrate the P16 system with an analog mixer, or a digital mixer that doesn’t come equipped with an Ultranet out (more about Ultranet in a moment). The P16-I also provides power-over-ethernet for direct connection of up to 6 P16-M personal monitor mixers, eliminating the need for the wall-wart power supplies included with the P16-M’s. Note that if you purchase a P16-I, you probably will not need a P16-D, unless you need to provide power-over-ethernet to more than 6 P16-M’s. The P16-D takes a single Ultranet input and distributes it to 8 separate outputs, allowing you to connect up to 8 P16-M’s directly to a single P16-D. The P16-D is an optional component, but like it’s cousin, the P16-I, it brings with it a nice benefit: it also provides power-over-ethernet for up to 8 P16-M’s. Note that if you don’t purchase either a P16-I or P16-D, you will need to use the wall-wart power supply for each P16-M, and you’ll also need to daisy-chain the ethernet cables from one P16-M to the next, to distribute the Ultranet signals to all of them. 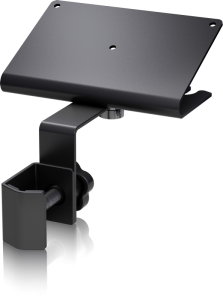 One last detail about the P16-D: for some reason, it was designed for table-top use, and does not include a rack-mounting kit. So if you plan to mount your P16-D in a rack (e.g. for a mobile PA system), you’ll need to get creative and use some velcro strips to attach it to the top of another piece of gear or to an empty shelf in your rack. Here’s where things get really interesting. 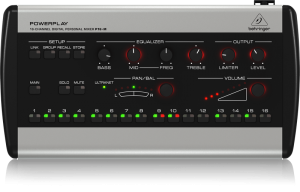 The P16-M is the personal monitor mixer that gives each performer control over their own mix. There are select buttons for each of 16 channels (as well as the master bus), and then the other controls (volume, mute, EQ, etc.) are context-sensitive: they affect whatever channel has been selected using the aforementioned buttons. The P16-M also includes mute and solo functions, buttons for stereo-linking pairs of channels, assiging multiple channels to a group, and saving and recalling presets. There’s also a master output section with a limiter (to help protect your hearing) and both digital and analog master volume controls. Each P16-M includes a wall-wart power supply and a decent-quality 20′ ethernet cable for connecting it up. If you plan to mount your P16-M’s to a microphone or cymbal stand, you’ll need a P16-MB for each P16-M. Some folks have complained that these should be included with the P16-M, but at only around $25 each (as of this writing), the optional P16-MB doesn’t add significantly to the cost of the overall system. Behringer offers a large and growing family of digital mixers. First, there’s the X32 series: the original X32, X32 Compact, X32 Rack, X32 Core, and X32 Producer. Then there’s the new X-Air series, including the X18 and XR18. Most (if not all) of these mixers come equipped with an Ethernet jack for the Ultranet bus. This Ultranet bus allows you to connect directly to a P16-D or P16-M, and eliminates the need for a P16-I. Behringer offers several digital snakes (e.g. 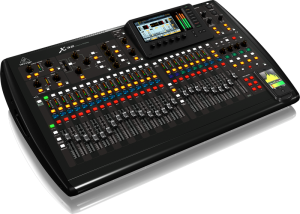 the S16) that use the AES50 protocol and work with the X32 family of digital mixers. These snakes connect to the mixer using a single Ethercon cable, which is really just a shielded CAT5, with the RJ45 cable ends enclosed in a metal “shell” that looks similar to an XLR connector (like you would see on a regular microphone cable). These snakes also include an “Ultranet” out, which connects directly to a P16-D or P16-M, and eliminates the need for a separate Ethernet cable to connect to the console for the monitors. Talk about convenient! If you’re using the P16 system for in-ear monitoring (as opposed to using it with a powered monitor wedge), you’ll need some kind of ear buds or isolation headphones. 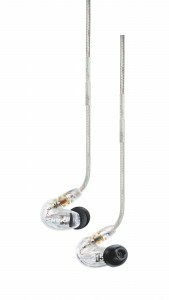 Behringer doesn’t currently offer any ear buds of their own, so you’ll have to buy some other brand. For isolation ear buds on a budget, I’ve had good luck with both the Shure SE215 and MEE Audio M6 Pro. For isolation headphones, I’ve used Vic Firth, Extreme Isolation, and Metrophones, and any of these should work just fine for personal monitoring. The primary use for a P16-M is for in-ear monitoring. You can connect a pair of ear buds directly to the P16-M’s headphone out for wired use, or you can connect the P16-M’s line outputs to the inputs of a transmitter for a wireless in-ear monitoring system. For those who don’t want to go in-ear, you could just as easily connect the line output of the P16-M to an active/powered stage monitor, or to the input on a power amplifier for powering a passive stage monitor. As far as the sound quality of the P16-M goes, I have no complaints. My drums at the church are miked with a cheap Pyle PDKM7 drum mic kit, and they sound surprisingly beefy in my ears through the Shure SE215’s. Everything else (lead & backing vocals, bass guitar, electric & acoustic guitars, and keyboard) sounds clean and clear, and I’ve never had much trouble dialing in my mix to where I’m happy with it. I tested a wireless IEM system that one of the other performers in our band uses, and it didn’t sound nearly as good as my own mix through the P16-M. Granted, I didn’t spend too much time trying to dial things in, but it just didn’t have the beef of the P16-M’s headphone output. The P16/Ultranet bus of the Behringer digital mixers is limited to 16 “channels”, but these need not be individual channel inputs (although they can be). Instead, they could be Buses, Subgroups, or Aux Sends (or some combination thereof), which gives you some additional flexibility. For example, you might create a stereo Drum Bus on your X32, and route all of your drums mics to that bus. Then, you could assign the stereo Drum Bus to two channels of the P16 (panned hard right and left), instead of eating up individual channels for kick, snare, tom, floor tom, left overhead, right overhead–you get the picture. Another way to work around the 16-channel limit of the P16 system is to create a pre-fader Monitor Bus on your mixer, and assign that bus to one of your P16 sends. Then, you could use a laptop, tablet, or smart phone to control the individual channel sends for that bus, and the knob on your P16-M essentially just becomes a “master volume” for those combined channels. I do something similar to this at the church where I play. We sometimes have as many as 4 backup singers, but I generally don’t need individual volume controls for each on the P16-M. So I created a monitor bus on our X32, assigned it to one of the P16 sends, and the knob on my P16-M simply serves as a “master volume” for all of the backup singers. If the individual singers’ mics need to be adjusted, I can do that using the Mixing Station app running on an Android tablet that I keep next to my drum kit. If you’re looking for an affordable, easy-to-use IEM system, you can’t go wrong with the Behringer P16. 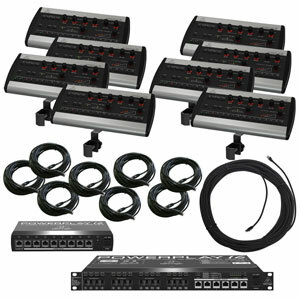 The modular components allow you to integrate it with virtually any system, and if you already own a Behringer digital mixer or snake, the integration is even easier. And as long as you register your purchases within 90 days, Behringer provides a 3-year warranty on all of it, which should give potential buyers even more confidence that this system will serve them well for many years to come.